South china university of technology warmly welcome international students to study English taught Business administration(MBA)in china. 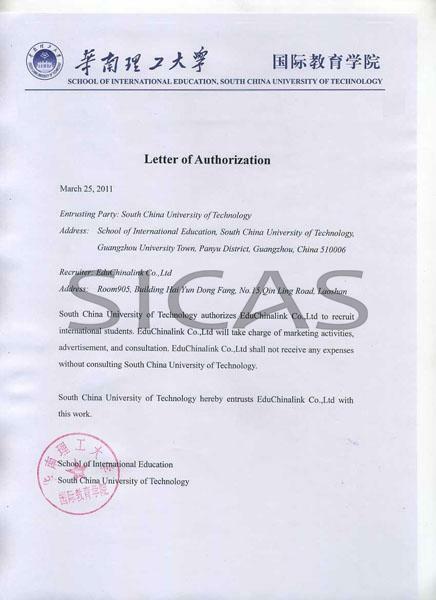 SICAS(Study In China Admission System) helps international students apply for South china universit of technology and get the enrollment quickly and efficiently. South China University of Technology (SCUT) is one of China's key universities under the direct leadership of the Ministry of Education (MOE) in China. SCUT has built cooperation with over 50 overseas universities. English-medium courses available there, such as MBA, Software Engineering Computer Science and Technology, International Economics and Trade, and Tourism Management are really popular among international students. MBA and Software Engineering.It is named as "a cradle of engineers" and "a cradle of entrepreneurs". SICAS ranks it a five-star university. You are warmly welcomed to pursue academic excellence in SCUT.